Danielle Gibson said her husband, Tony, battled Creutzfeldt-Jakob disease, a rare disease that causes dementia, memory problems and trouble walking. Doctors say the disease progresses quickly and there is no treatment or cure. 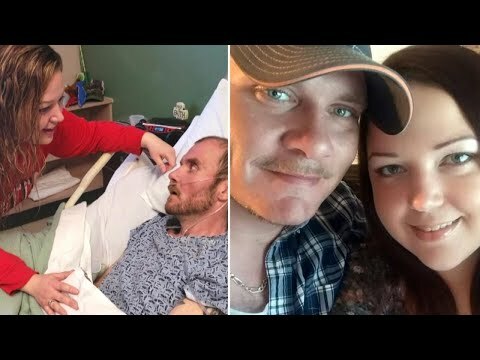 Danielle sang to Tony to help comfort him during his battle with the disease. Tony Gibson died on Jan. 30, leaving behind his wife and four daughters.